TurboTax helps you find every deduction and credit you deserve to help you get your maximum tax refund. 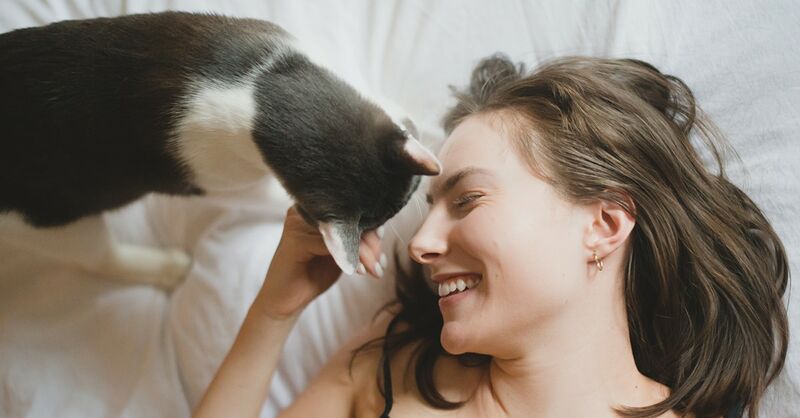 But just for fun, we've uncovered what we think are the weirdest deductions allowed, from pet food to free beer to (we're not kidding) a girlfriend. Admit it. As you've worked on your tax return and considered what might count as a deduction, you've taken a few flights of fancy. "Can I claim a deduction for all those blood donations at the Red Cross?" Sorry, the answer is no. "How about a charitable contribution for all the time I donate to the church?" No, again. "The wedding gift for the boss's daughter as an employee business expense?" Come on! On the other hand, over the years the courts have allowed a few of your fellow taxpayers to deduct some crazy things that most of us wouldn't even dream of claiming. We've uncovered what we think are the weirdest deductions allowed, ranging from pet food to free beer. A couple who owned a junkyard was allowed to write off the cost of cat food they set out to attract wild cats. The feral felines did more than just eat; they also took care of snakes and rats on the property, making the place safer for customers. When the case reached the Tax Court, IRS lawyers conceded that the cost was deductible. Swimming pools have long been considered money pits but if you have a medical condition that requires a swimming regime then the cost of the pool just might qualify as a tax deduction. This island is more than just a scenic place to visit. It's also a great place to schedule a tax write-off. Business conventions held in Bermuda are deductible without having to show that there was a special reason for the meeting to be held there. That's a sweet perk. Other countries in the Caribbean region qualify, too, including Barbados, Costa Rica, Dominica, the Dominican Republic, Grenada, Guyana, Honduras, Jamaica, and Trinidad and Tobago. Meetings held in Canada, Mexico and all U.S. possessions also receive this favorable tax treatment. Attend a convention in Paris, Rome or Beijing, though, and there's no deduction unless you can show it made as much sense to travel abroad as to head to Pittsburgh. A professional bodybuilder used body oil to make his muscles glisten in the lights during his competitions. The Tax Court ruled that he could deduct the cost of the oil as a business expense. Lest it be seen as a softie, though, the Court nixed deductions for buffalo meat and special vitamin supplements to enhance strength and muscle development. Rather than drive five to seven hours to check on their rental condo or be tied to the only daily commercial flight available, a couple bought their own plane. The Tax Court allowed them to deduct their condo-related trips on the aircraft, including the cost of fuel and depreciation for the portion of time used for business-related purposes, even though these costs increased their overall rental loss. In an effort to get more tips, a stripper with the stage name "Chesty Love" decided to get breast implants to increase her size to 56FF. A female Tax Court judge allowed Chesty to write off the cost of her operation, equating her new assets to a stage prop. Alas, the operation proved to be a problem for Chesty. She later tripped and ruptured one of her implants. Sole proprietors who regularly meet clients in a home office can deduct part of the costs of landscaping the property. The deductible portion is based on the percentage of the home that is used for business, according to the Tax Court. The Court also allowed a deduction for part of the costs of lawn care and driveway repairs. In a novel promotion, a gas station owner gave his customers free beer in lieu of trading stamps. Proving that sometimes beer and gasoline do mix, the Tax Court allowed the write-off as a business expense. A taxpayer with emphysema put in a pool after his doctor told him to develop an exercise regimen. He swam in it twice a day and improved his breathing capacity. Turns out he swam in the pool more than his family did. The Tax Court allowed him to deduct the cost of the pool (to the extent that the cost exceeded its added value to the property) as a medical expense because its primary purpose was for medical care. Also, the cost of heating the pool, pool chemicals and a proportionate part of insuring the pool area were treated as medical expenses. The owner of several rental properties hired his live-in girlfriend to manage them. Her duties included finding furniture, overseeing repairs and running his home. The Tax Court let him deduct $2,500 of the $9,000 he paid her. The disallowed portion was considered to be for nondeductible personal services.